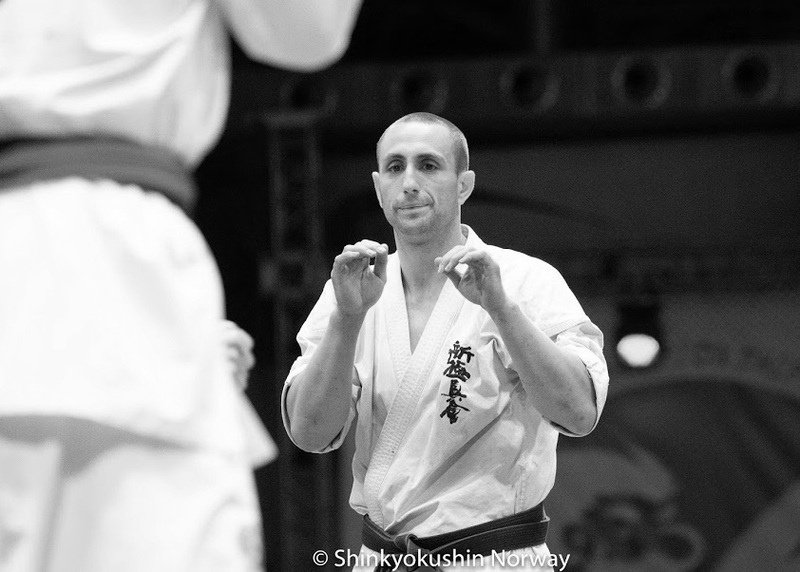 European Championship Shinkyokushin weight categories 2019 – counting down! Once again, the line-up and the support of the championship are at its best. 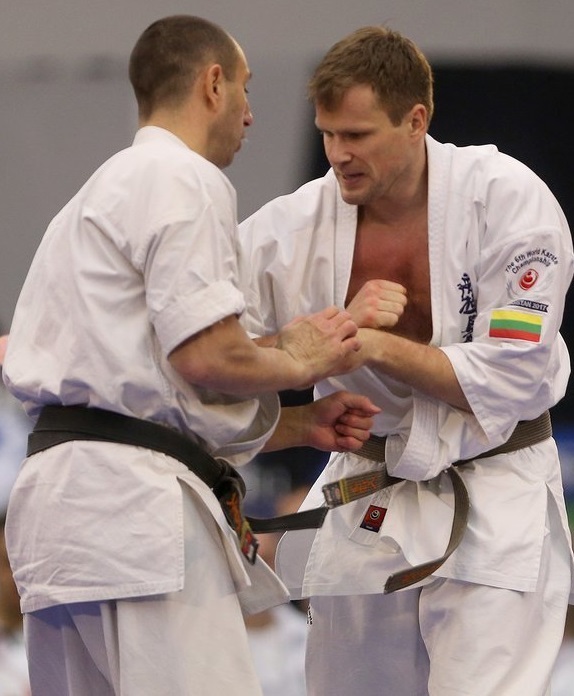 It is clear now that the Shinkyokushin European Championships are stable at the top. Comparing to others, the number of fighters in categories and not at least their proven level puts these EC trophies in the category “Most wanted” This edition we look at an EC with over 225 contenders – only seniors, only fighters from the European region. We will take a look at the Super Middleweight -85 kg. One of the biggest category with 16 nations and 27 fighters, and with some of the biggest profiles. In this case, the top four from 2018, are all to find in the line-up. Valeri Dimitrov / Bulgaria did impress highly in the Open-Weigh EC in November. Winning the tournament with 38 fighters, facing some of the very best fighters – and defeated them all. 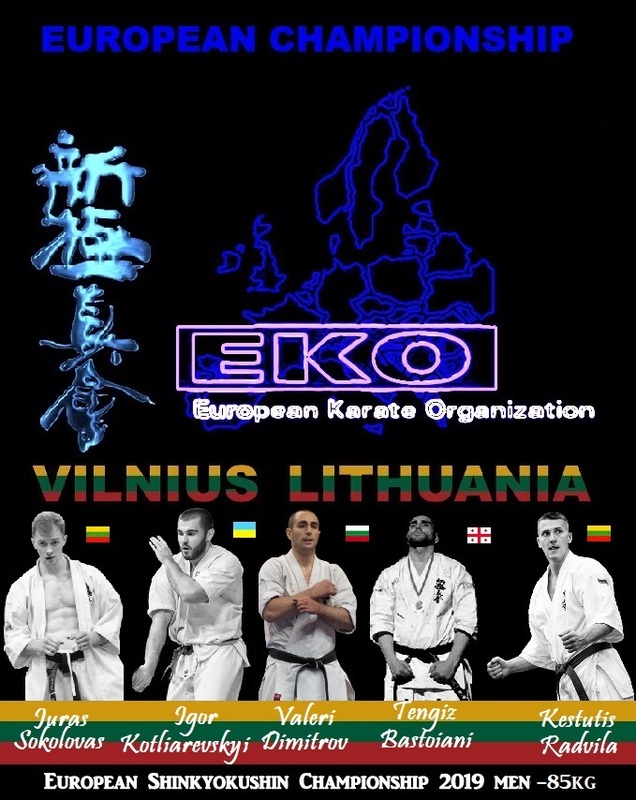 defeated reign EC Champion Maciej Mazur in the final, defeated Edgar Sečinski in the semi, and also defeated Vytautas Cėpla in the quarter final – all top merited fighters. Also being able to change his game and take it in a new direction. Salahat Hasanov / Azerbaijan last year runner up is out of the tournament. Also expected that he would advance in the tournament and potentially reach the final as last year. Hasanov is one very strong fighter, and remember that he captured 4th place in 1st WFKO International Tournament just a week after the EC last year. However, as mention, he is out of the tournament and replaced. Igor Kotliarevskyi / Ukraine and Jakub Tęcza / Poland did both enter the podium last year and that for the first time. To make it happen again they must really deliver. Packed with strong fighters, many from winning the U-22 EC and other strong tournaments, this is a very strong field. Lithuania’s three fighters, Kęstutis Radvila ⇑, ⇐ Vytautas Cėpla and Juras Sokolovas. Sokolovas reached the final last year – but in the category above, where Mazur became champion. Cėpla has been several times at the EC podium, and will always be a tough fighter to face, strong and with good experience. And he would be the one with most experience comparing to his two teammates in this category. Who of the Lithuanian fighters that will advance most is hard to tell. Radvila came in on 3rd place in the Open-Weigh in November, and he have many merits from other organizations. From previous EC senior results, several fighters has been on the podium. Tengiz Bastoiani/ Georgia ⇒ one of them. 3rd place in 2017 (middleweight -80 kg) and back in 2015 he reached the final and ended second. Yasir Mammadov / Azerbaijan is another strong fighter. 3rd place from back in 2013 and 2014 (middleweight -80 kg) Not on the podium in 2015, but back in 2016, and this time in a heavier category (Light heavyweight -90 kg) Georgia and Azerbaijan produce very hard fighters to face. And even so if you manage to defeat them, the chance for getting some “souvenirs” along with the advancement are very likely. H unting top position in the EC senior division – we can only list up fighters on the way to establish themselves in the senior division after strong results as juniors and in the U-22 EC. Georgia with two strong fighters, Tengiz Bastoiani, strong short-range fighter and EC U-22 champion Lasha Ozbetelashvili. Sweden into the category with two good all round participants, EC U-22 Champion Rasmus Bergström and EC U-22 runner up Ali Hayder. Hungarian finesse represented by Tamás Popovics. These fighters mention above have all ready tested their skills against each others more than one time. And for sure they will meet again, but this is the European Championship, and the top spots are hanging high. And thinking forward, if you manage to reach the podium, it would be a factor in the next year draw as well. 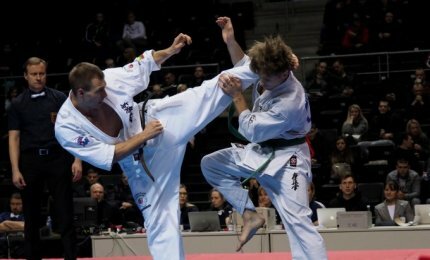 Besides this, the category have some well-experienced veterans with years of fighting on high level that also will be a factor for those who face them at the tatami. A very hard mixed category, experience and routine crossed with up and coming full forward fighters, small issues can make big differences.. 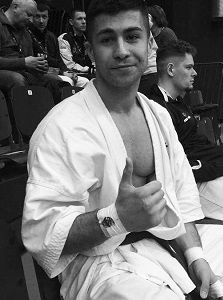 This entry was posted in Ringside and tagged full contact karate, shinkyokushin, Shinkyokushin EC 2019 by Steffen. Bookmark the permalink.